The 4 A’s of Leadership for Families program provides relevant resources and practical steps to ensure families are equipped to reach their full potential in a complex world. Programs are customized to meet specific needs. Help your family reach its full potential! A strong family forms a critical foundation to effectively deal with our world that continues to grow in complexity and uncertainty. The 4 A’s of Leadership for Families is a helpful resource for families who want to reach their full potential as they face the challenges of today. 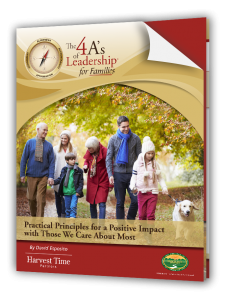 Get the FREE report on The 4 A’s of Leadership for Families and subscribe to weekly updates from our blog.